K10HS 10 inch high speed non-ferrous saw designed to cut non-ferrous materials such as: copper, aluminum, brass, pvc and much more. K10HS 10 inch high speed non-ferrous saw is produced with powerful 3PH, 1PH, 110V or 220V or 3PH, 220V or 440V motor (specify phase and voltage). Great for cutting the following: aluminum, brass, plastic and other non-ferrous materials quick and clean! 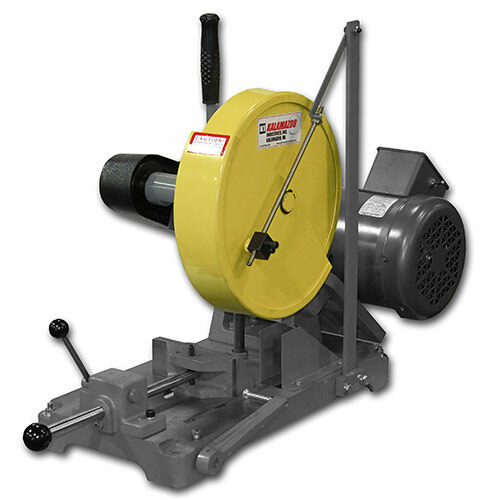 Great for cutting 80/20 structural aluminum, brass, pvc pipe, solid plastic, and wood. 10 inch high speed non-ferrous saw is used for cutting aluminum, brass, and plastic. Uses either a 3HP TEFC, 3PH (220v or 440v) or 3HP TEFC, 1PH (110 or 220V) Motor. PLEASE SPECIFY PHASE AND VOLTAGE AT TIME OF ORDER! Uses a high speed carbide tipped blade (not included). Single quick release cam-lock vise. OSHA safety clam shell blade guard. Dimensions: L 23″ x W 10″ x H 14. Available in: 50HZ, 1PH and or 3PH. Option: Floor model with stand. 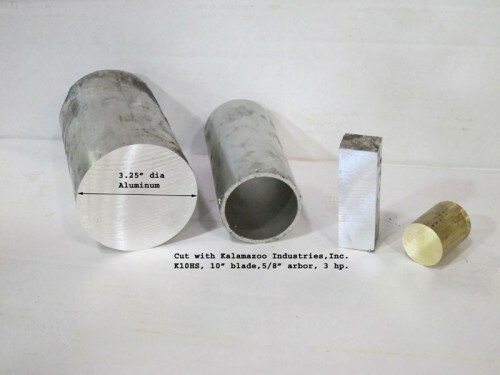 Kalamazoo Industries K10HS high speed saw parts store. Shop Now!